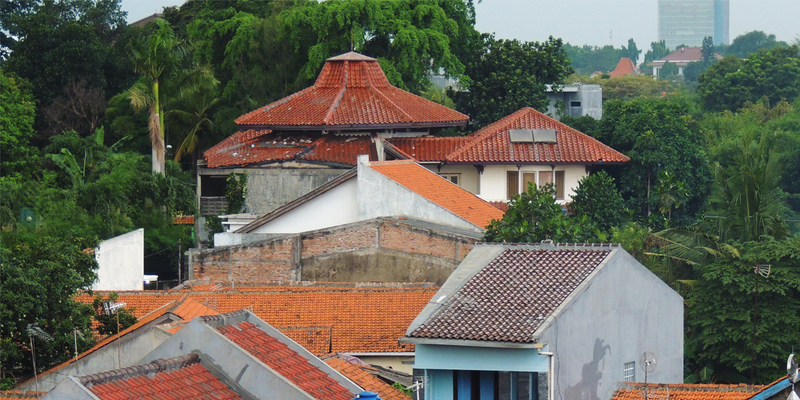 The Kampung (village) is the word that describes where most Jakartans live. Its is the rows of small (usually red roofed) houses that are built up in between the skyscrapers. 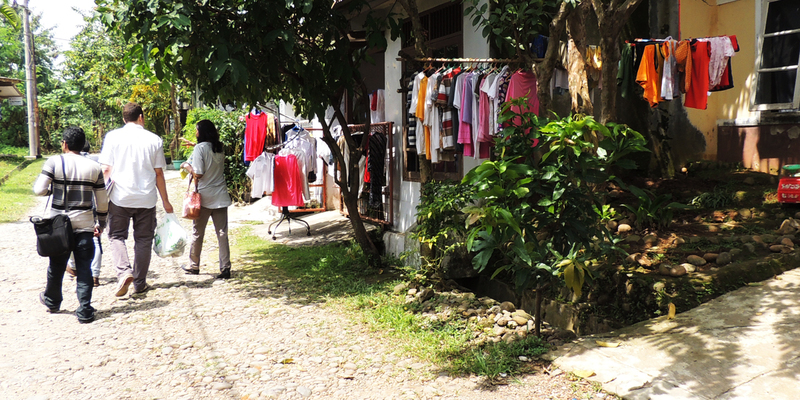 Life in the Kampung can feel very removed from the city behind the walls. Rows of houses often with barely a car width between, washing strung across the divide and a definite slower pace, mainly due to the lack of traffic. 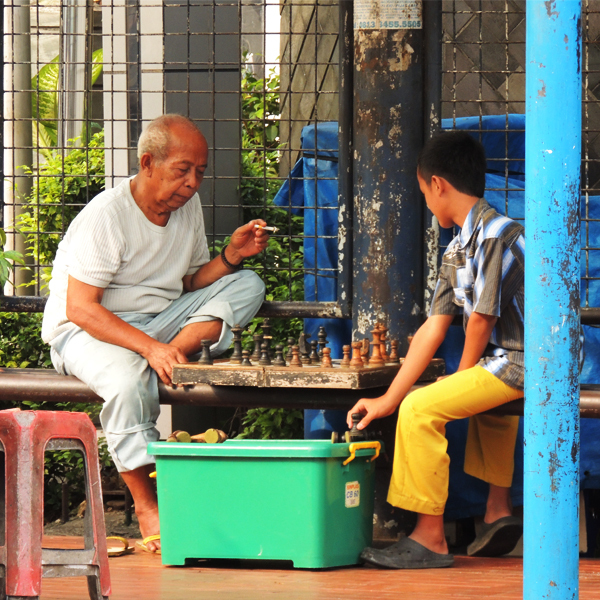 Families live a close knit village life, all in the shadow of the TransJakarta overpass. 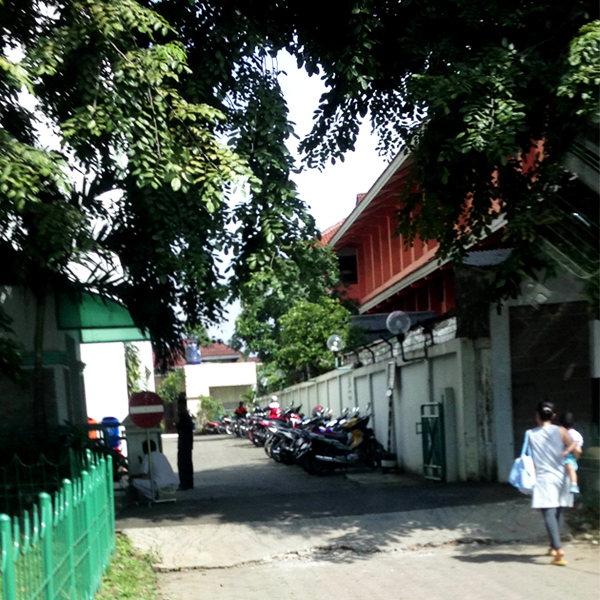 This entry was posted in Places, Travel and tagged Home, Indonesia, Kampung, Life. Great posts! I love checking out what you guys are up to…fascinating stuff. Keep them coming!